Welcome to Tea with Mrs B, an author interview series. Here to share a pot of tea and to chat about her brand new book, The Round Yard, is Alissa Callen. When USA Today bestselling author Alissa Callen isn’t writing she plays traffic controller to four children, three dogs, two horses and one renegade cow who really does believe the grass is greener on the other side of the fence. After a childhood spent chasing sheep on the family farm, Alissa has always been drawn to remote areas and small towns, even when residing overseas. Once a teacher and a counsellor, she remains interested in the life journeys that people take. She also is partial to historic homesteads and country gardens. Alissa currently lives on a small slice of rural Australia in central western New South Wales. Hello Alissa. It is my pleasure to warmly welcome you to my blog, Mrs B’s Book Reviews. Thank you for joining me for Tea with Mrs B, an author interview series. To set the mood for our tea infused interview, what is your preferred beverage, tea, coffee or other? And side accompaniment, scone, cake or other? Thanks so much for having me over for tea. There’s nothing I like better than a cup of English breakfast with scones (plural as can never just have one) covered in cream and jam. I write small town and rural fiction and my new release will be book number 14. Some of these are smaller novellas. The Round Yard, your latest book was released this week. Can you describe it in just a sentence? Home isn’t always a place. The Round Yard is book #4 in the Woodlea series. Can this book be read as a standalone, or does it need to be read in series order? Neve and Tanner’s story is a standalone but it does take place in the small town of Woodlea which features in my other books. The Round Yard also includes several familiar characters but a reader doesn’t have to have read any of the other Woodlea books to know what is happening. How long did it take you to write The Round Yard? Four months with another month of editing and polishing. Did you need to undertake any research to bring The Round Yard to life? How did you incorporate this research into your book? I love research, both online and in person. For this story I visited a local aviation museum built at the site of what was once a wartime airfield. I also visited a corrugated-iron hall to make sure I had the details right for describing a small hall festival plus went on a quest to find as many street libraries as I could. What character did you most identify with in The Round Yard? Neve. A Second World War family mystery comes to light and the occupational therapist does everything she can to find some answers. Thanks to the wonders of DNA, my Aunt and I were able to solve our own Second World War family mystery last year. Can you tell us more about the inspiration for the stunning Australian setting of your novel? I live on a small farm in central western NSW and it is this scenic rural area that provides the inspiration for my Woodlea books. Wherever I drive I’m always mentally filing something away for my next story whether it be the golden poplars in autumn, galahs drinking from a cattle trough at sunset or the pure blue of a midsummer sky. What ingredients do you feel are necessary to compose a successful romance narrative? There are many ingredients that go into making a romance work. For me, perhaps the main one is the creation of strong and authentic characters. It then is their personal journey, both individually and as a couple, that drives the plot forward. What was the most challenging and rewarding aspects of writing The Round Yard? I really enjoyed returning to small town Woodlea and also being able to tell Tanner’s story. But in writing books that share a setting I had to make sure there was consistency and continuity as well as that I kept everything fresh. To do this I needed to cross-reference and check details which can be time consuming. What do you hope readers will take away from reading The Round Yard? I hope readers will find The Round Yard uplifting and if they were in need of a distraction then the story was able to immerse them in another world. How do you plan to celebrate the official release day of The Round Yard? Writing 🙂 I have a looming deadline so it will be business as usual. You have published a number of rural fiction novels. What attracts you to this particular genre? I’ve always lived in the country so it was inevitable my stories played themselves out against a rural backdrop. I also like how in rural fiction the landscape becomes a character in itself, heroines are independent and self-reliant and that heroes are usually more beta than alpha. How has your writing evolved since your first published novel? Absolutely and with every book it is still evolving. I just wish I could get my first books back and give them a really good edit. I work from a home office. Outside my office door I usually have sleeping dogs and a mini pony who sneaks water from their bowl. I have music playing and find that I need to read over the previous day’s words and do a light edit before I can write a fresh chapter. What is next on the horizon for Alissa Callen? Do you have any writing projects you would like to share with us? 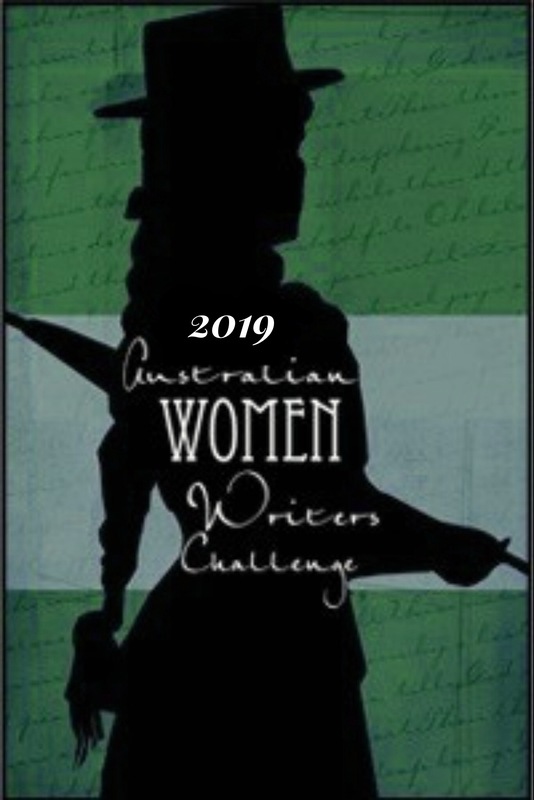 At the moment I am writing the next Woodlea book called The Boundary Fence (Ella’s story) which is scheduled for February 2020. A second free Woodlea novella titled The Silver Creek is finished and will be out November 2019. There are too many to name. The exciting thing is that there have already been such wonderful books out and it is only February. In Bath with Jane Austen. Thank you for taking the time to visit Mrs B’s Book Reviews for Tea with Mrs B Alissa. Congratulations on the publication of The Round Yard! The Round Yard by Alissa Callen was published on 21st January 2019. Details on how to purchase the book can be found here. Another excellent tea with Mrs B! I can’t tell you how excited I am that there will be a 5th book in the Woodlea series. I absolutely adored The Round Yard I am so glad we’ll be seeing more of the Woodlea folk and yay, Ella’s story is next (and then we’ll need Taylor’s story lol). Thanks Sue, this one is a special one as after meeting Alissa in November, it is such a delight and honour to have her visit! I can’t wait to read The Round Yard, and I am smiling at the prospect of more Woodlea yarns to come!